Tooth extractions are dental procedures often bear feelings of fear and uncertainty. Most people do not want to consider having a tooth pulled, but sometimes it is necessary. 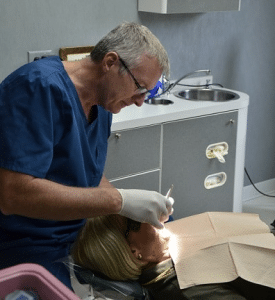 Your natural teeth are meant to last a lifetime, but there are circumstances under which you may need to have one or more of your teeth extracted. These reasons may include severe trauma or decay, a crowded mouth, or tooth infection. Under these conditions, your tooth may need to be pulled to preserve the health of your mouth and the surrounding teeth. After a thorough evaluation, Dr. Brandau may refer you to an oral surgeon if it seems that multiple teeth will need to be extracted. With his strong roots in the Canton area, Dr. Brandau ensures your teeth will remain under the best care possible.